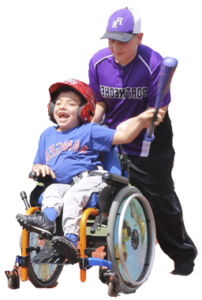 The project focuses on addressing safety issues on the Valley’s only Little League field and upgrading wheelchair access to provide an inclusive opportunity for all residents to participate as spectators, coaches, or as players out on the field. 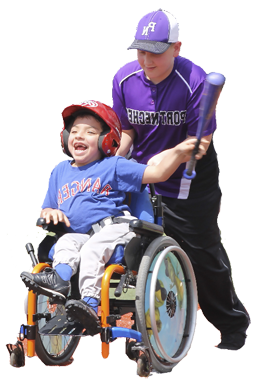 Shade is needed for residents with disabilities who want to play or watch games. 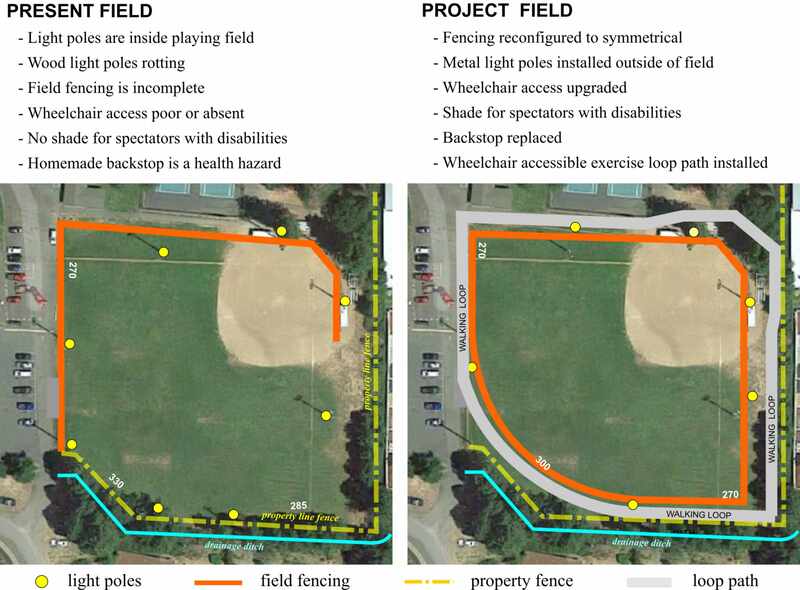 The current field is shown on the left and the proposed upgraded field on the right. Click image to see enlargement. See the goals page for more details on upgrades.